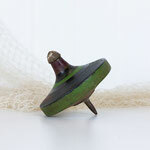 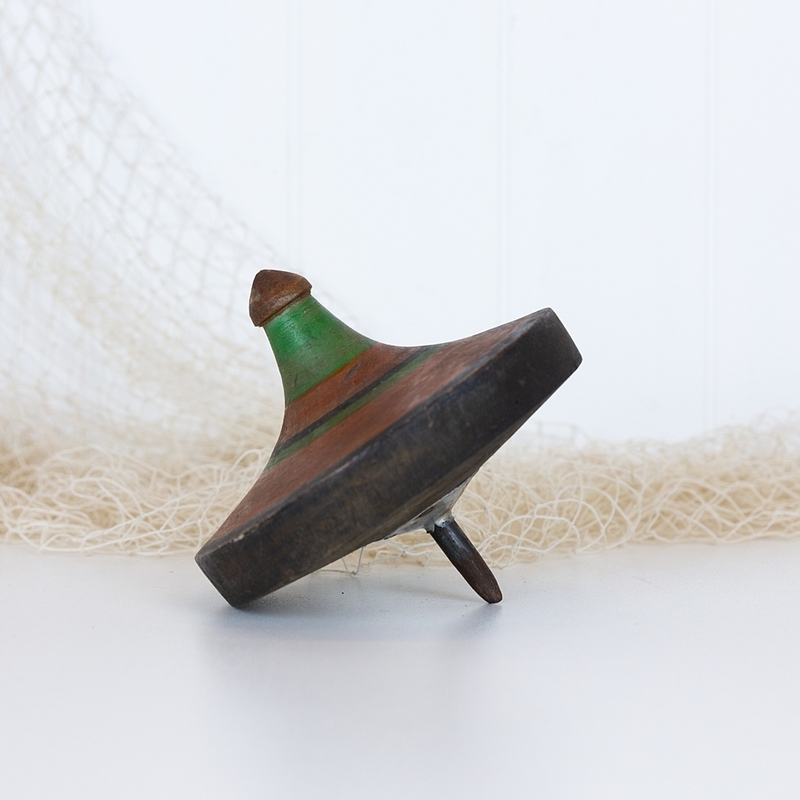 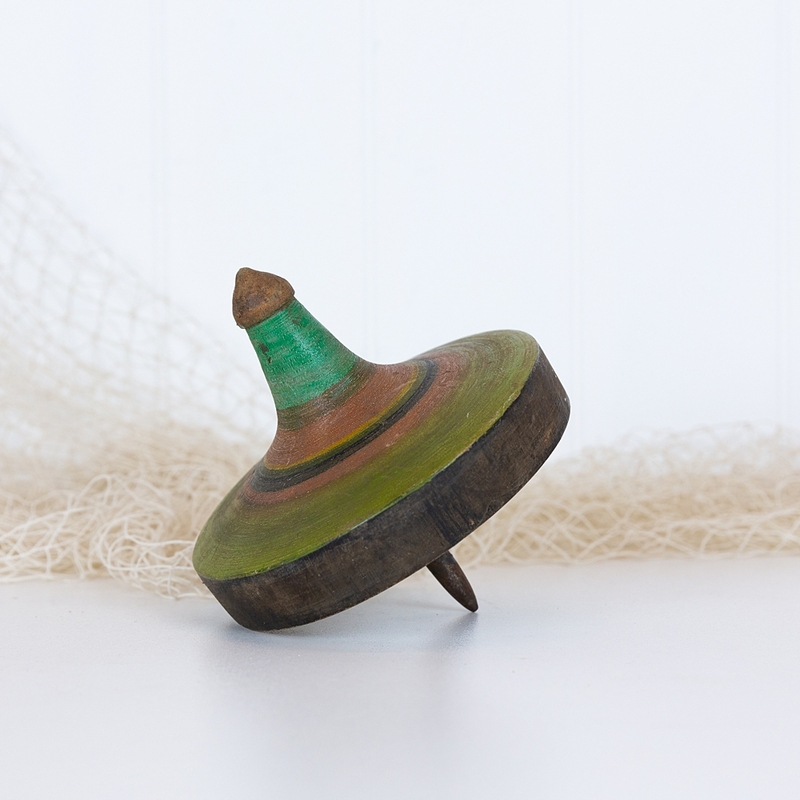 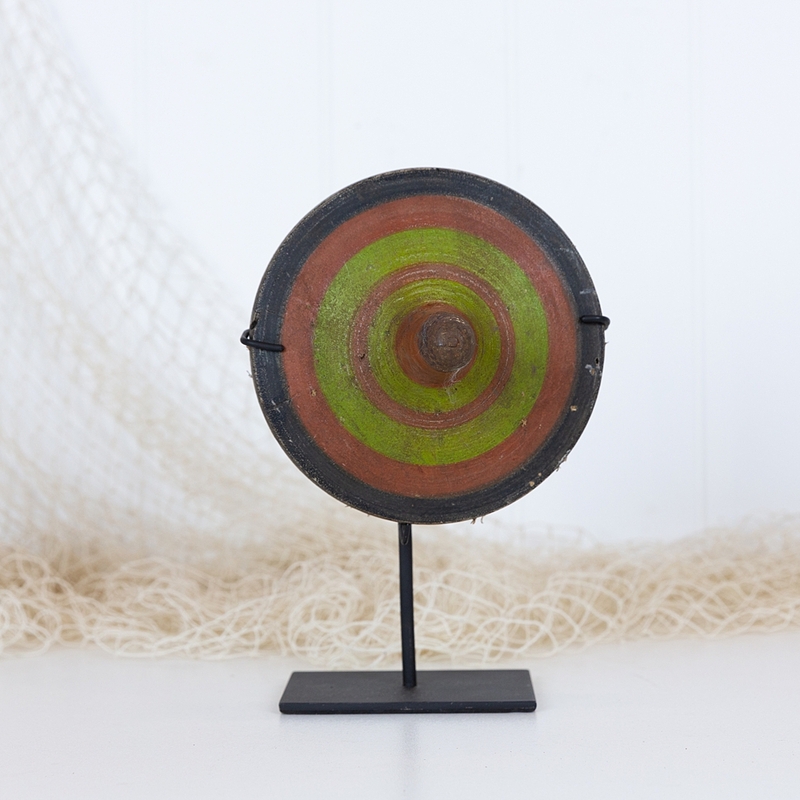 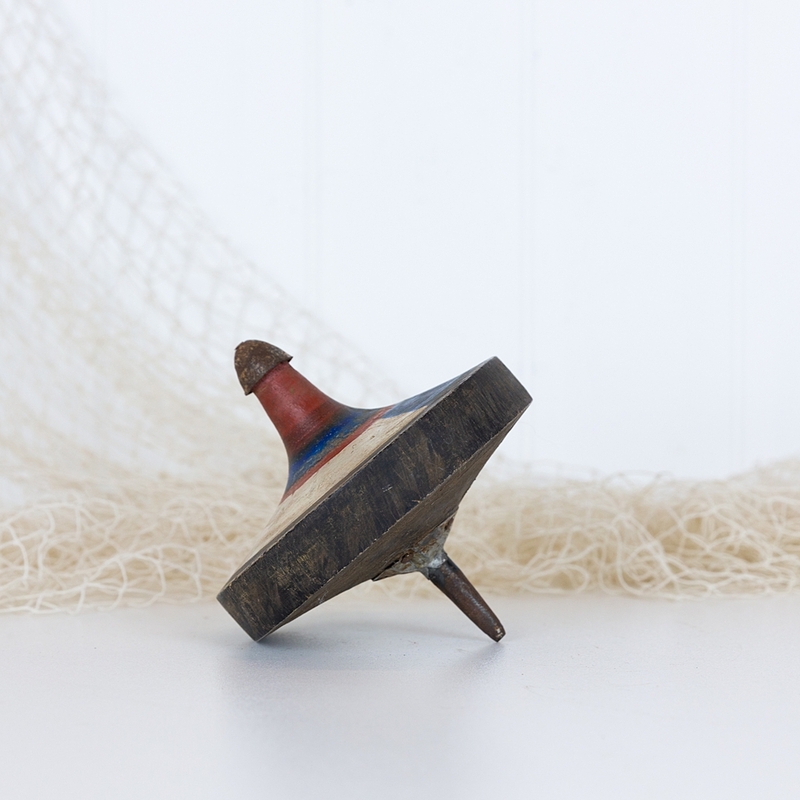 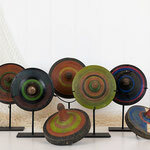 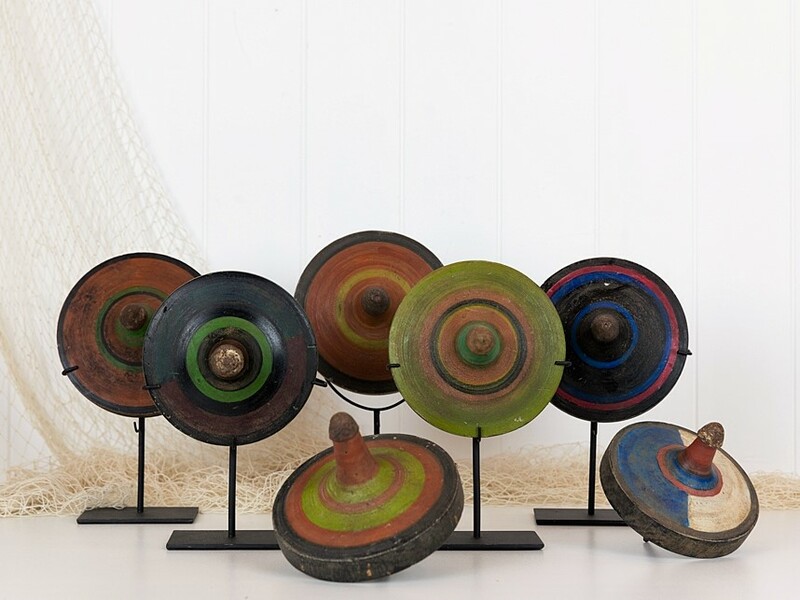 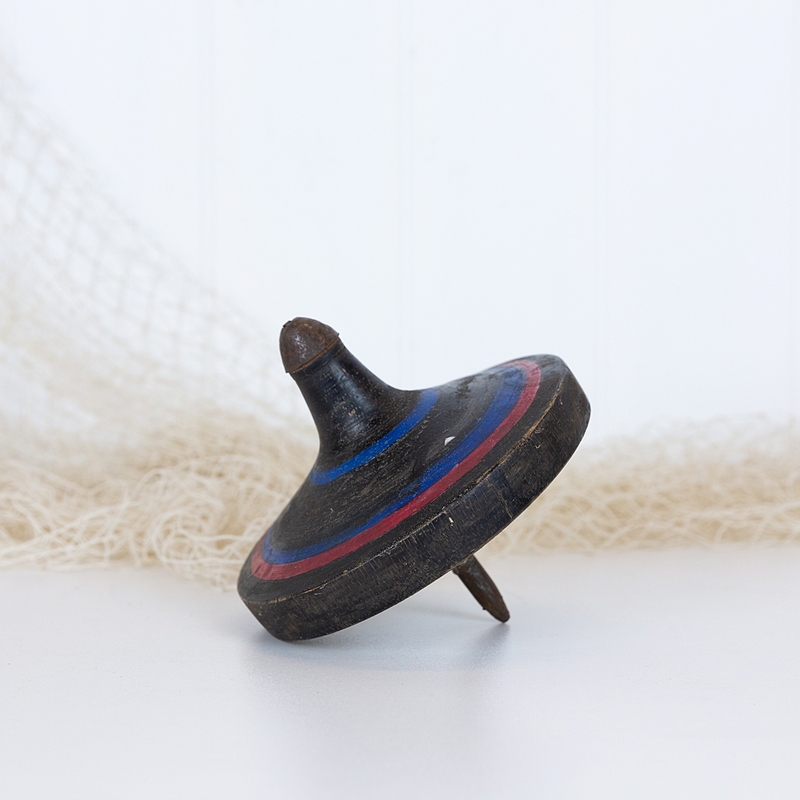 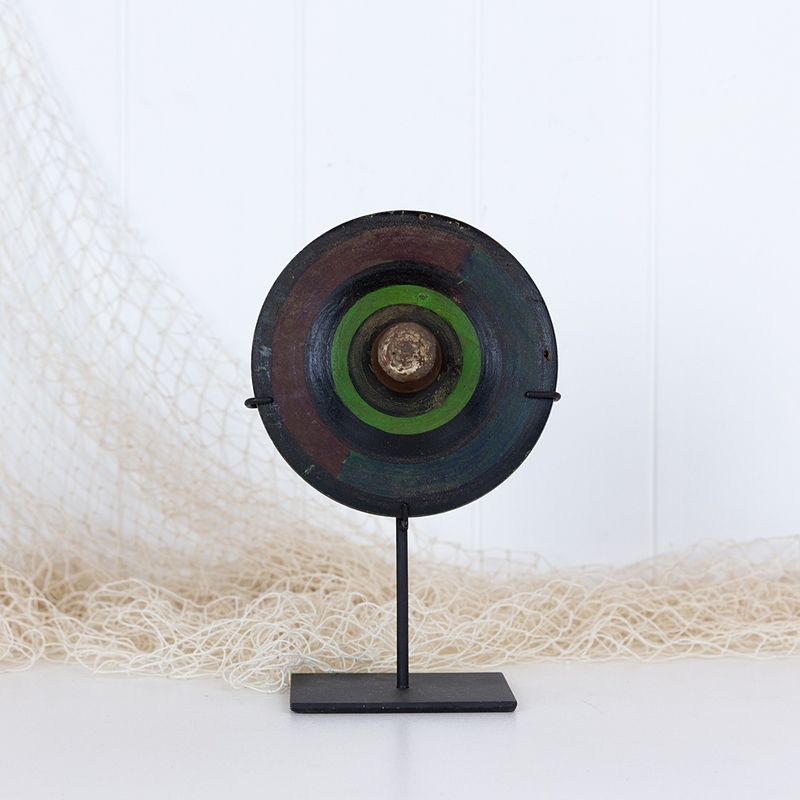 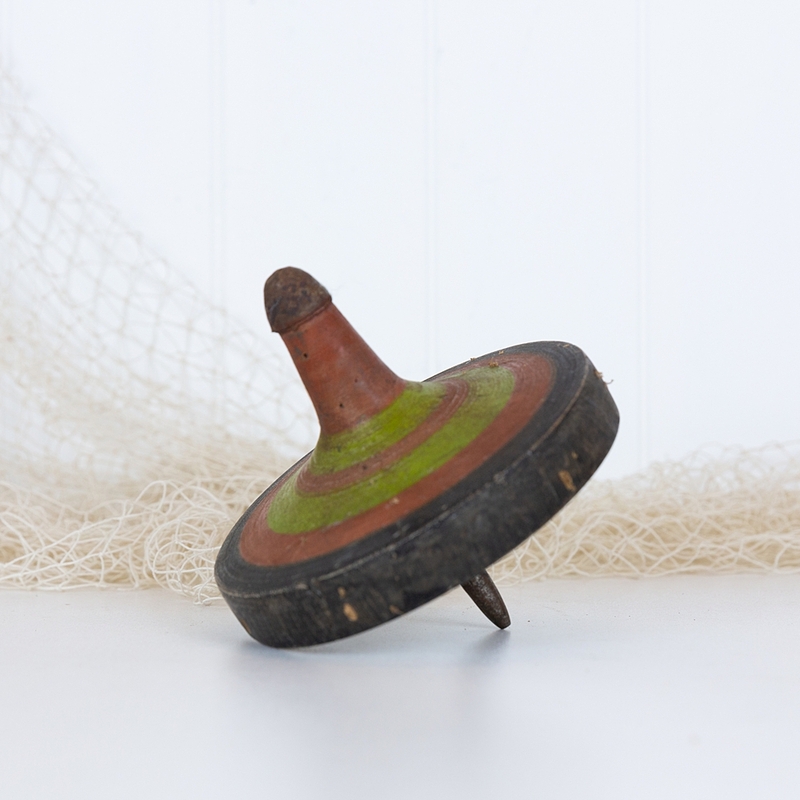 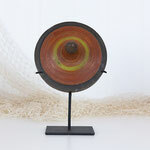 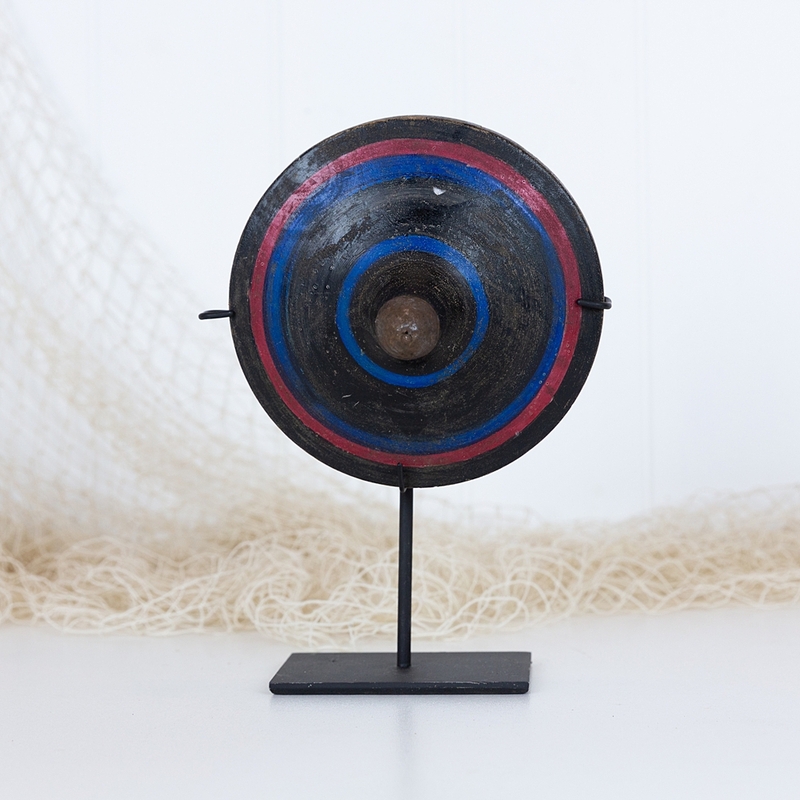 These wonderful old spinning tops are from Lombok, and have been made using wood and metal. 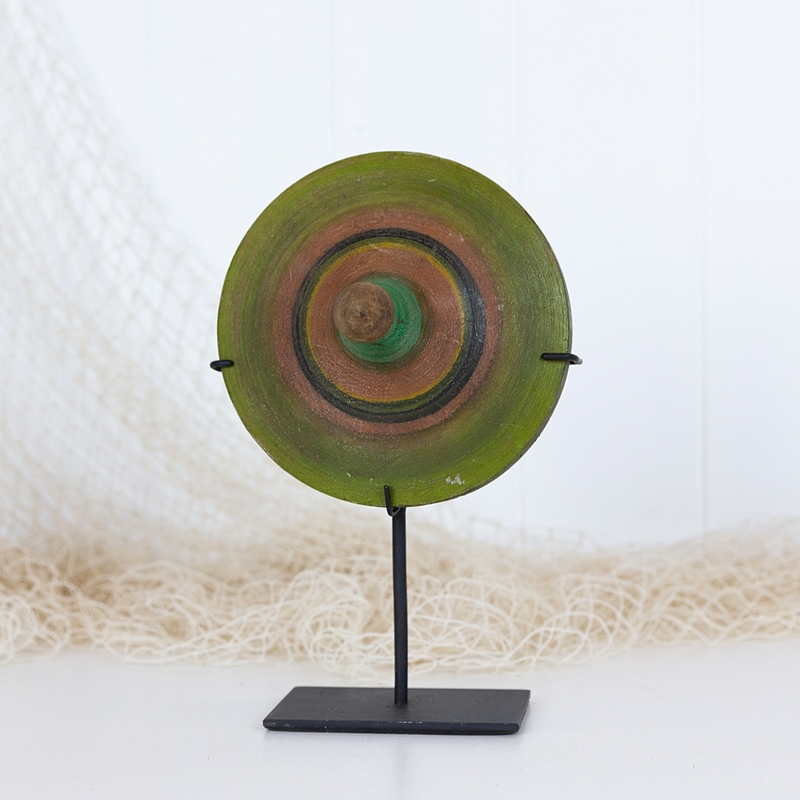 Each brightly painted, they each come with a display stand. 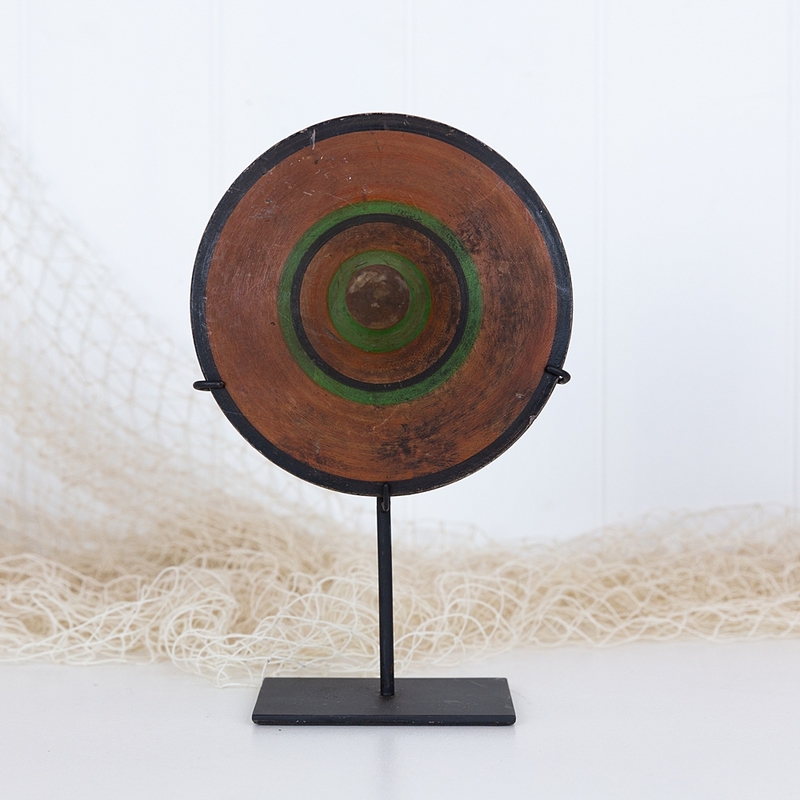 A unique piece to add to a display, they also look fabulous in a grouping together. They are sold separately and we have only one of each design, please choose from the options below. 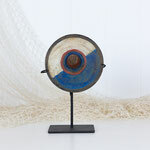 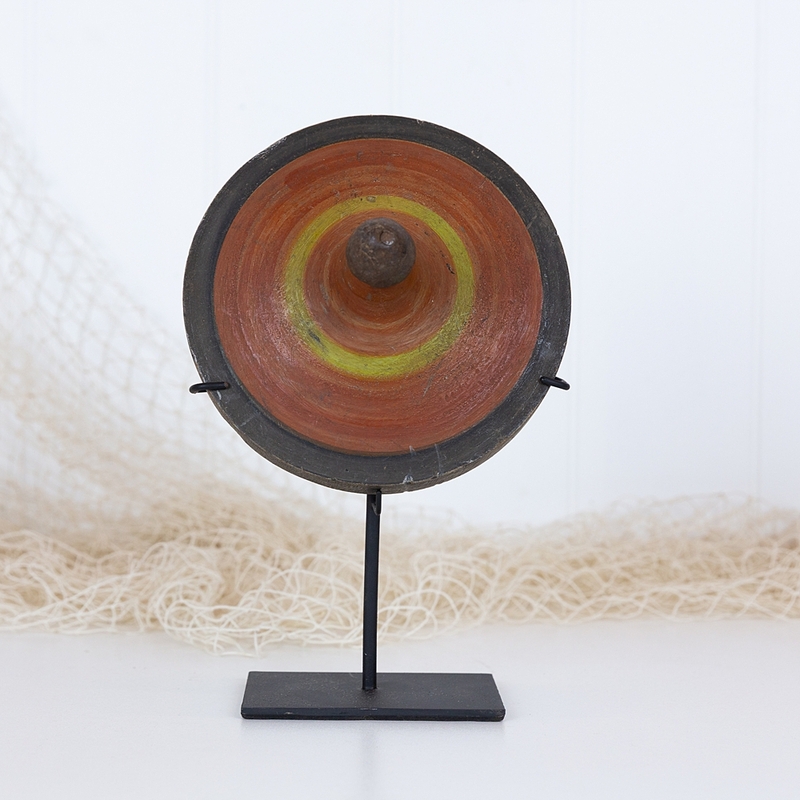 Measures approx: 15cm x 16cm 25cm high when on stand. 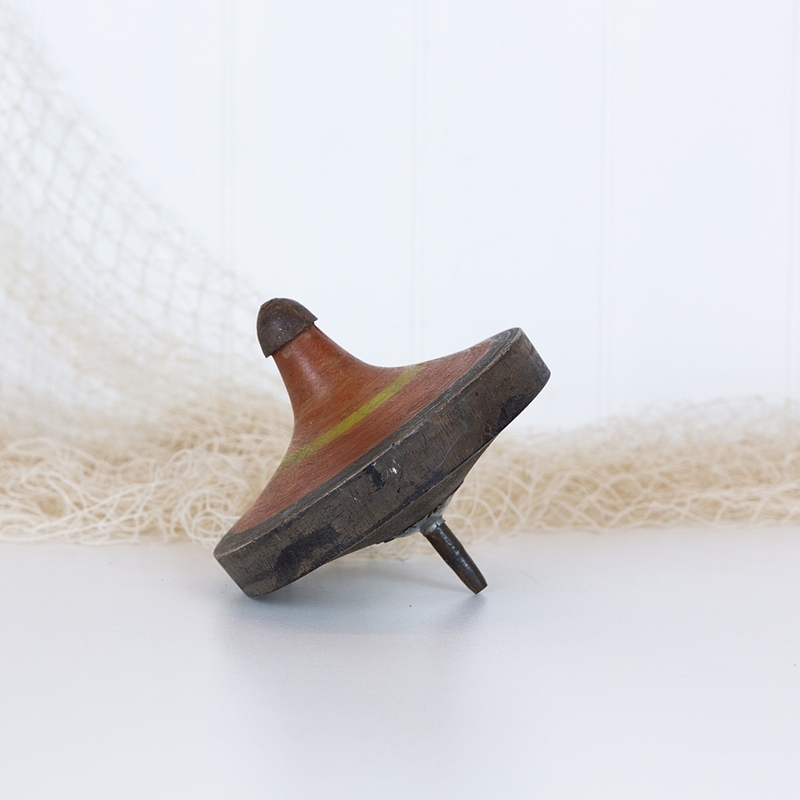 Please note that as these are vintage and hand crafted that the measurements will vary slightly with each item.